I’m writing this, perfectly knowing that I didn’t write a first impression post about it. So you don’t really know what I think of it in the beginning. I must say I enjoyed this second season more than the first one. The first one really only served to introduce the character, the agency and the port mafia, without really giving us any background story apart of Nakajima Atsushi . The second season gave us an actual villain, new character and more information about the character. There is also lot more of action in the second season. 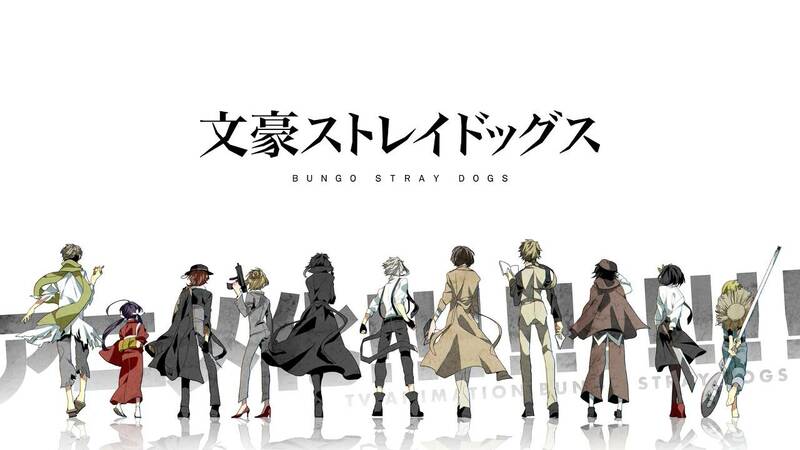 Bungo Stray Dogs 2 start off with Dazai past as a member of the Port Mafia, this arc is really dark, almost depressing, it also give us the reason why Dazai left. Then the show bring us back where it left us at the end of the first season, the Armed Detective Agency and the Port Mafia fighting the Guild. A lot is happening, but can’t tell you what exactly without spoiling you. Must say that I kind of like this format, I just hope they will not make it too boring by doing the exact same thing they did against the Guild. Gonna need something new if they want to keep the view hooked to the series. I really need to jump on this bandwagon soon! I keep hearing how great this show is, but like most anime I hear about, it wound up on the dreaded must watch list! But, this was a fantastic impressions post and it definitely got me pumped to start the series!! It a good series, definitely a worth to watch series. I definitely liked how this season started, taking us to Dazai’s murky past as part of the mafia. It was exciting to see his more ruthless side. But I kinda missed the light-heartedness and comedy of the first season. I wish they bring that back next time!